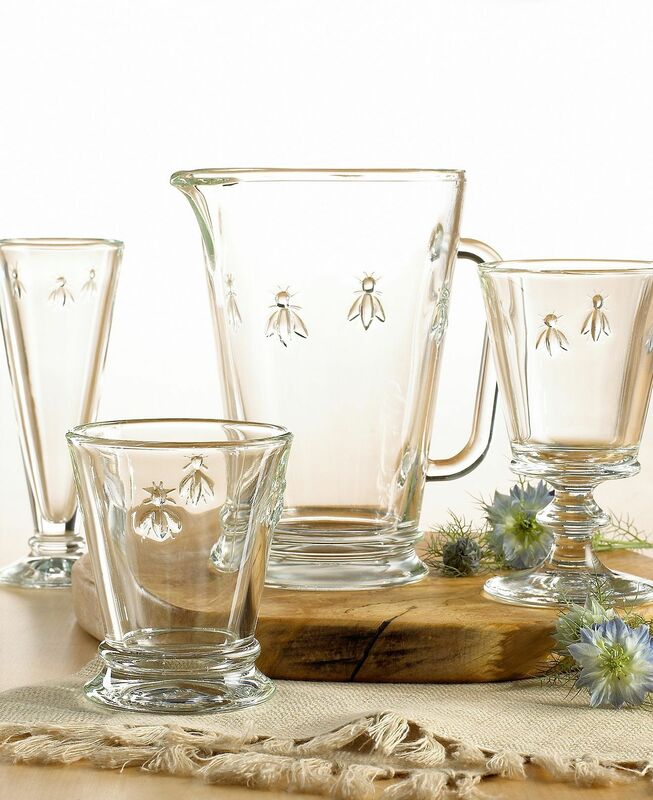 Abeille is French for bee and so this best-selling line of pressed glass from France has the classic Napoleonic bee pattern. 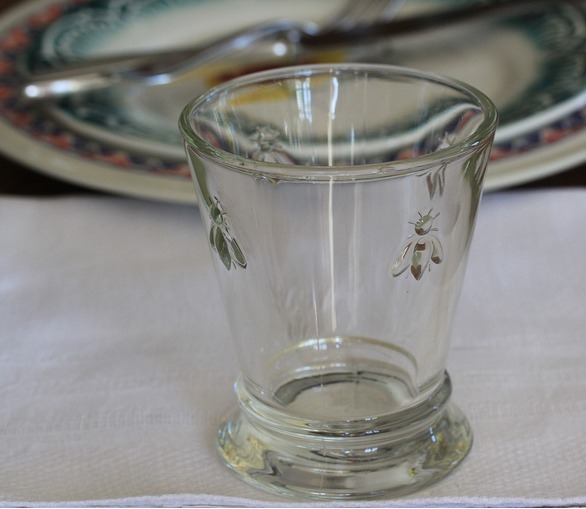 This glassware is extra sturdy and is brilliant for everyday use. 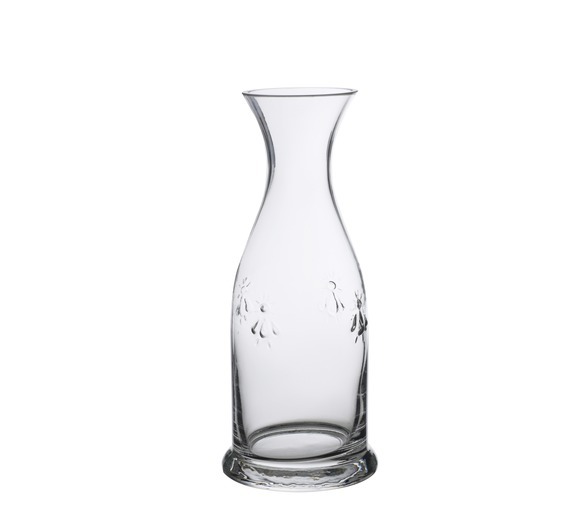 The carafe matches the wine and water glasses. 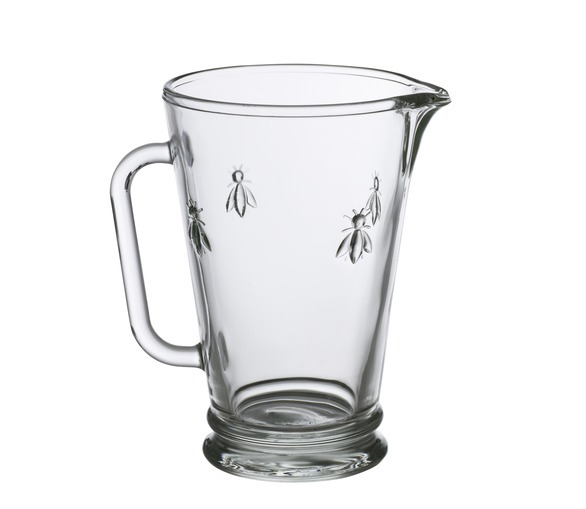 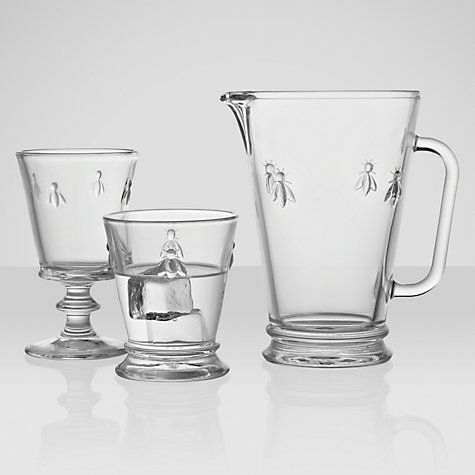 This chunky glassware is very sturdy and is ideal for everyday use. 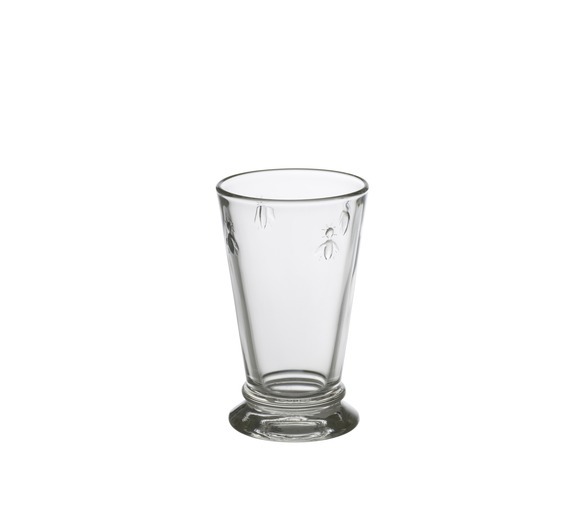 Water glass or long drink glass. 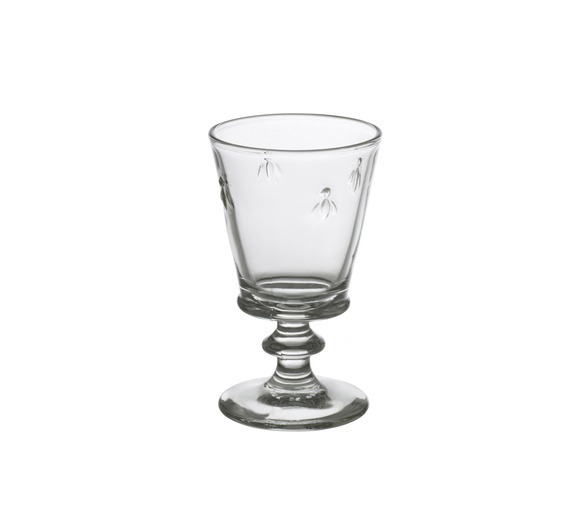 A perfect everyday wine glass.